Born in Busan, Korea, in 1969. He graduated from the Dept. of Economics at Korea University. He worked on LG AD Advertisement Production Team and Simani Entertainment Fund Planning Team. 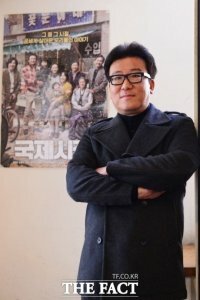 He has written a number of screenplays, including < Black Honey Moon >, < Can't Live Without Robbery > , and < My Boss, My Hero>. He made his feature debut with < My Boss, My Hero >. [New Movie] Hwang Jung-min and Kim Hye-soo Head to Space in "Return - 2019"